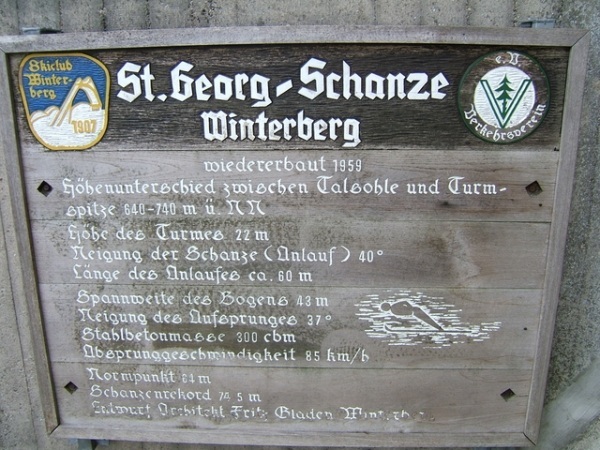 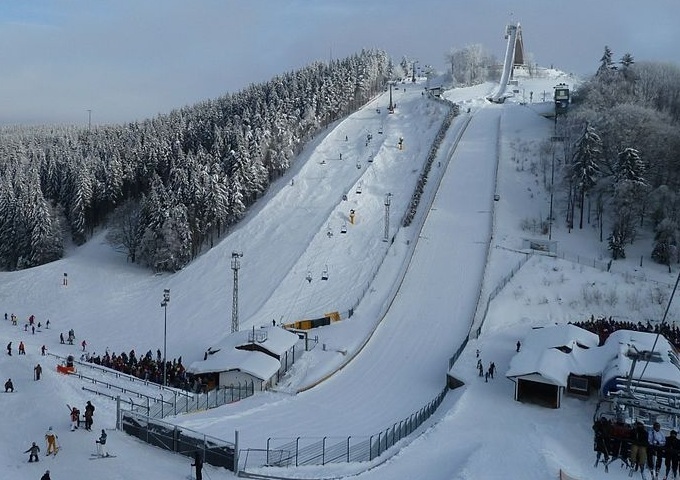 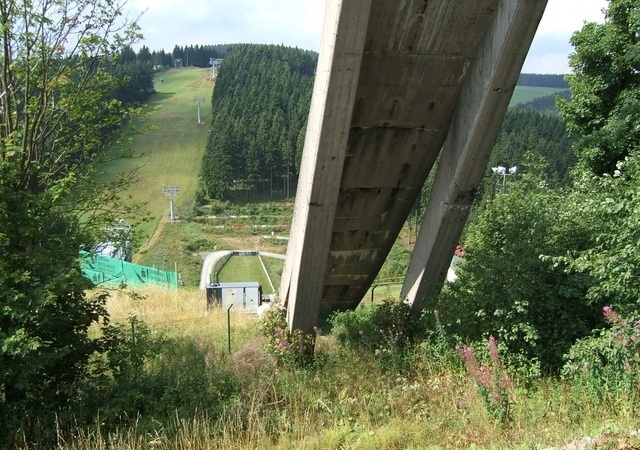 Already in 1907 the first ski jumping activities with distances up to 18 m were performed on small snow ski jumps at Herrloh near Winterberg, the oldest winter sports place of Western Germany. 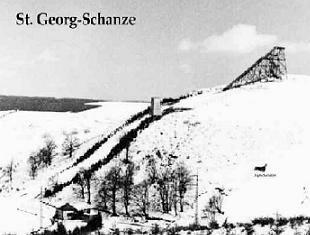 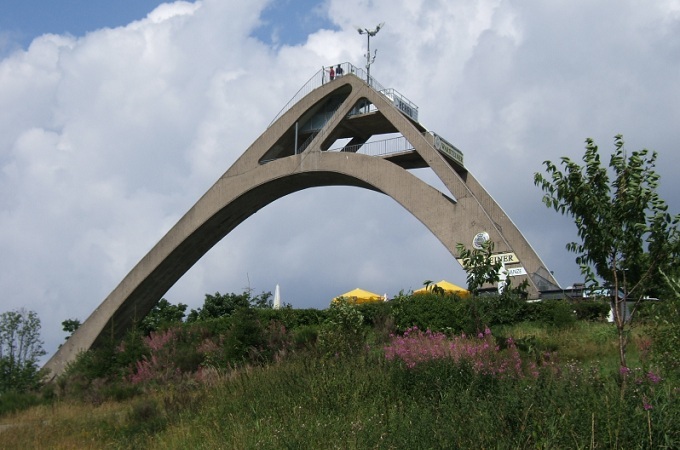 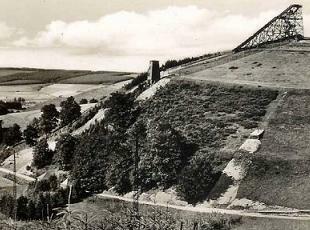 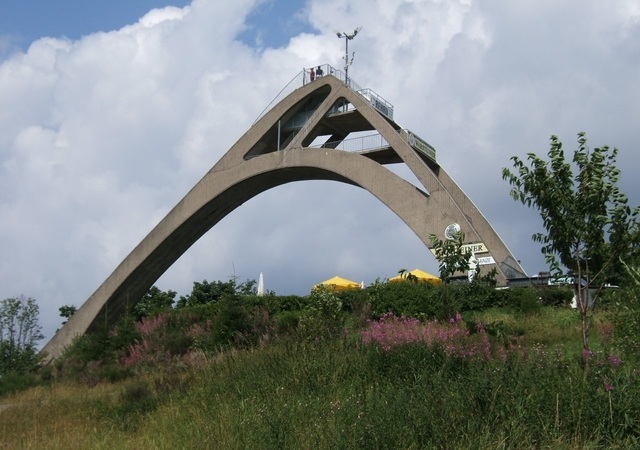 In 1928 the Sankt-Georg-Schanze was built up as a natural ski jump. 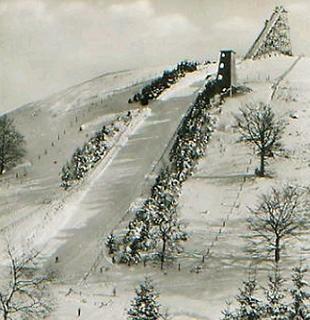 After World War II the jump was reconstructed with a 19 m high wooden inrun tower in 1947 and during the inauguration in 1949 Rudi Köhler set up a hill record of 63 m.
In 1958 the wooden inrun tower was destroyed during a rainstorm and already one year later the complete new-construction followed in only 8 weeks of time, with a futuristic inrun tower made of concrete by architect Fritz Gladen, which became the landmark of Winteberg. 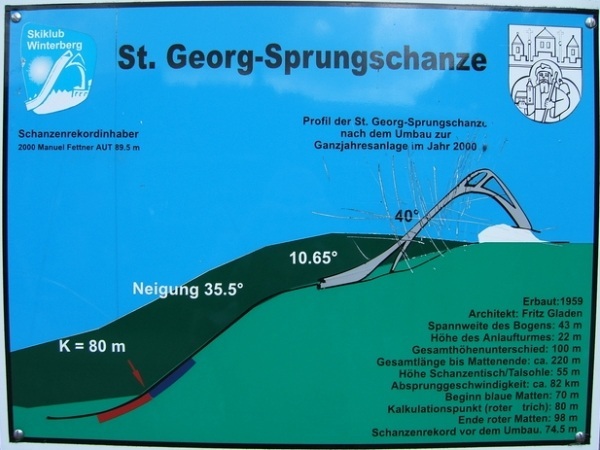 The new St.-Georg-Schanze was inaugurated in 1960 and had a K-Point of 64 meters. 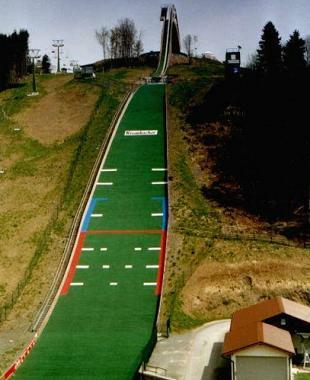 Until 1999 this jumping hill was used, the last hill record was set up at 74.5 m, but then another conversion of the facility needed to be done. 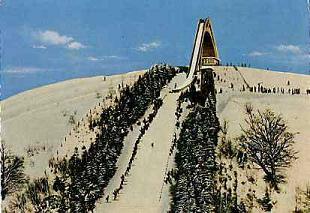 The new plastic covered K81 hill then was completed in 2000 and for the inauguration the only summer COC competition was organized. 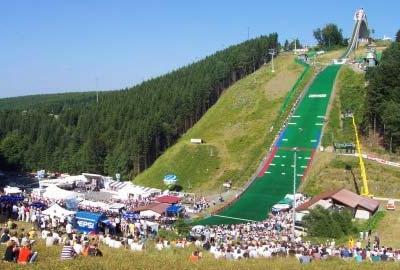 Further­more German championships, summer competitions of Nordic Combined and even Snowboard World Cup were already organized at “Event-Arena St. Georg Schanze”. 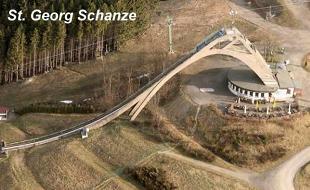 Since early 2008 the HS 89 has a SKI-Line inrun trail made of stainless steel. 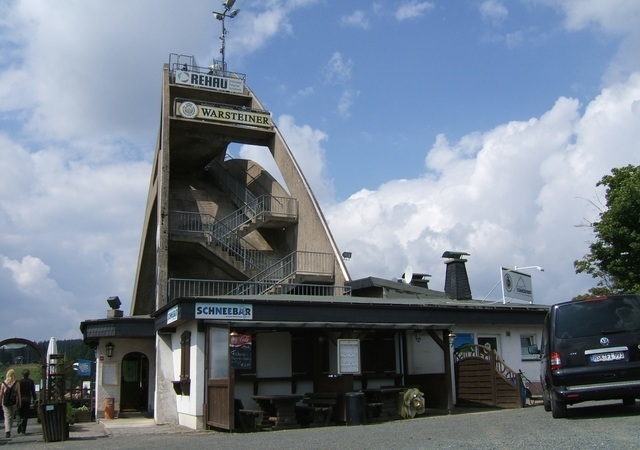 Below the inrun tower it is possible to stop for a bite to eat at the “Schanzentreff”. 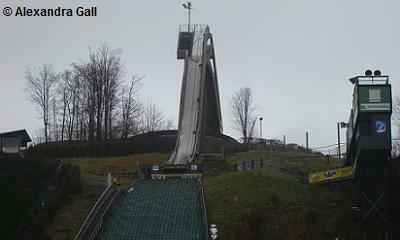 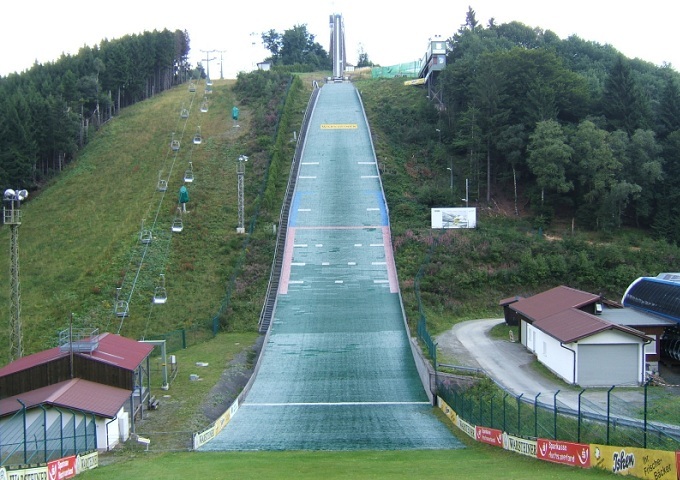 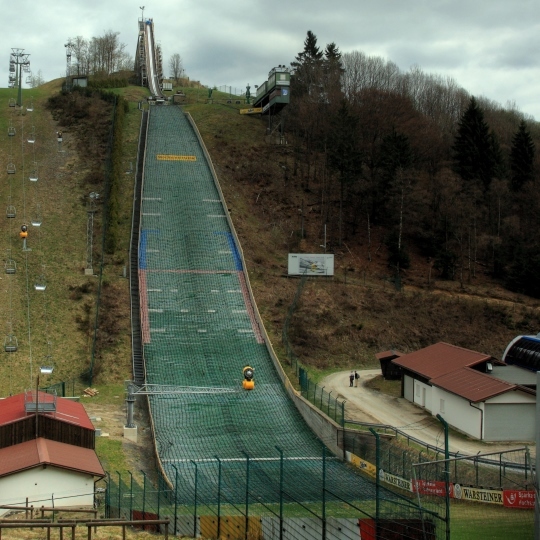 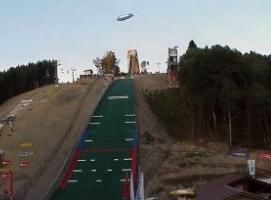 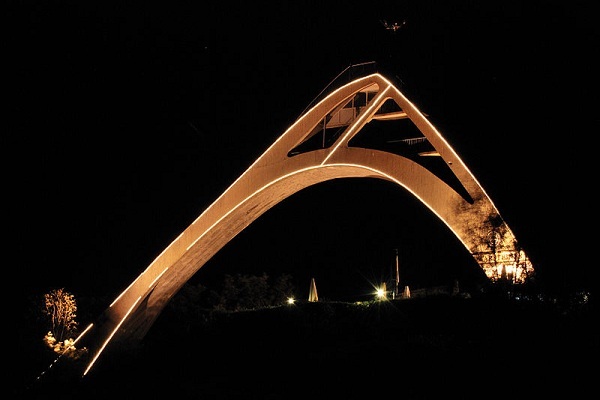 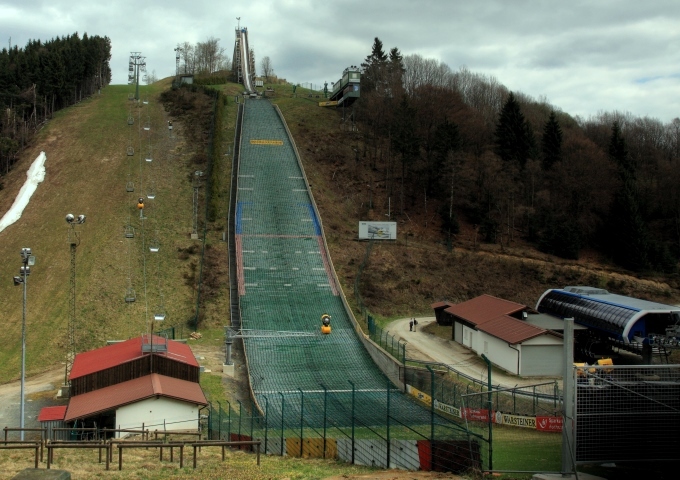 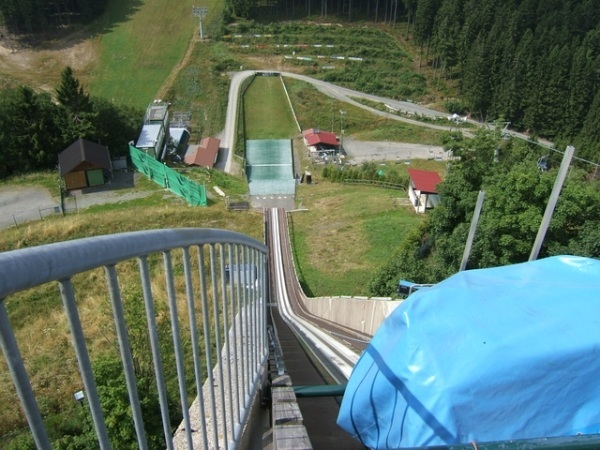 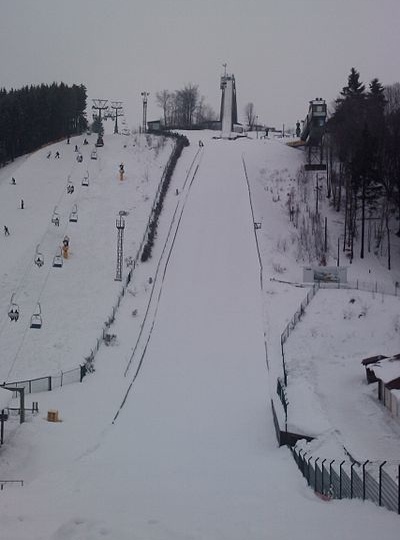 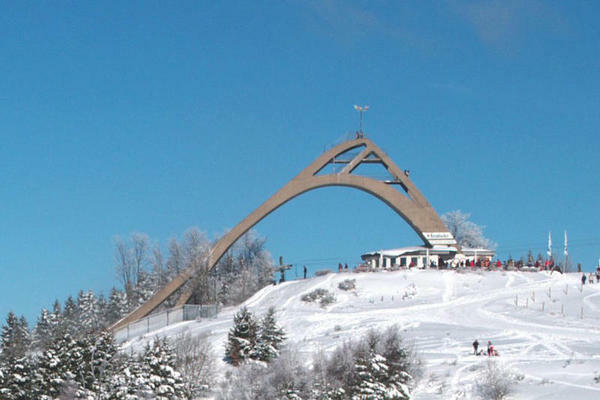 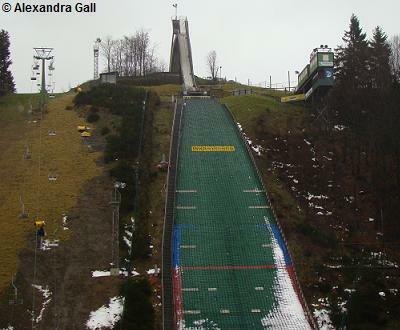 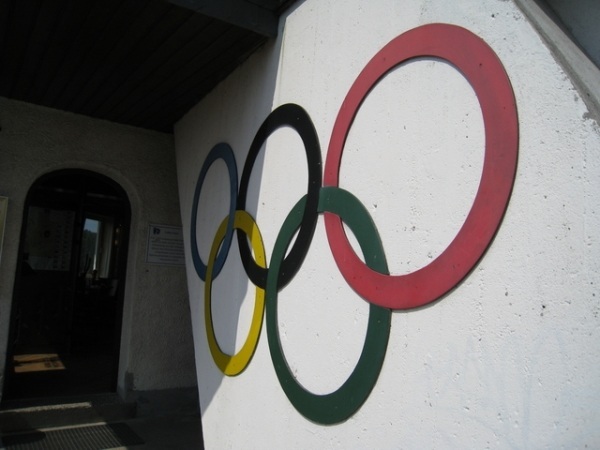 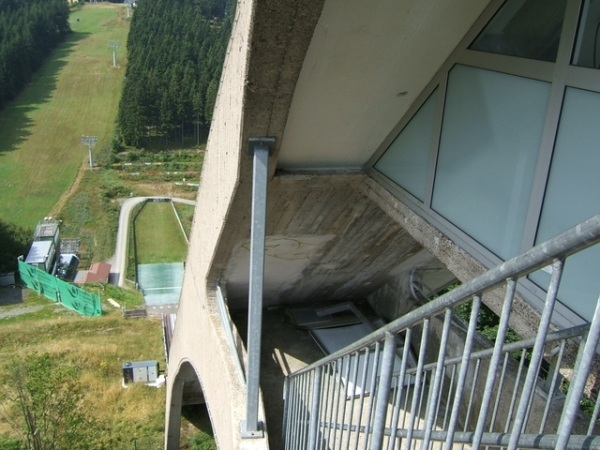 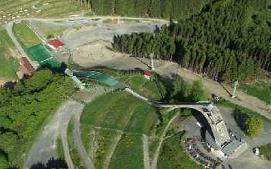 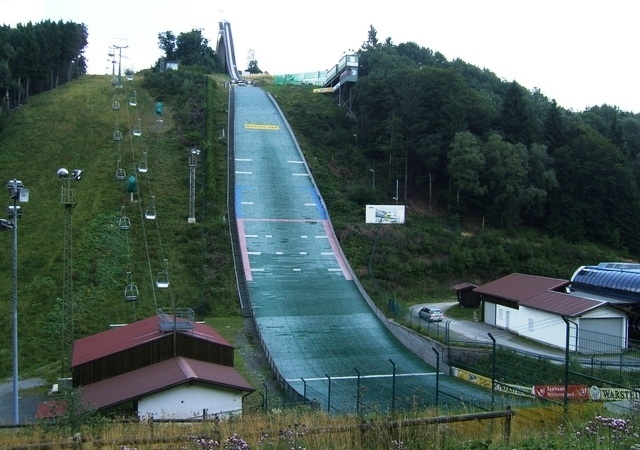 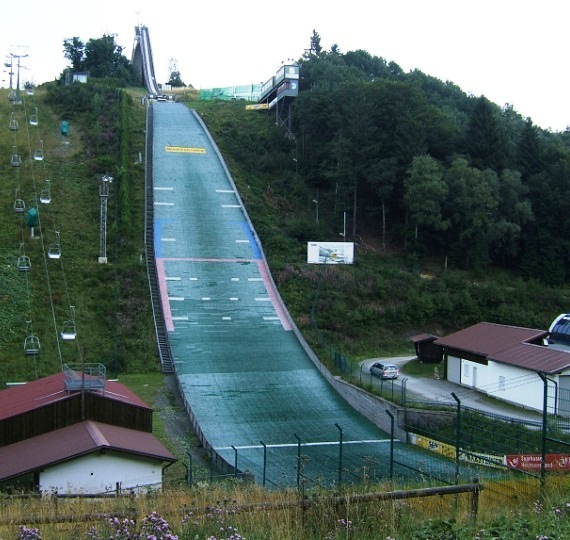 For training the SK Winterberg uses the ski jumping facility at Herrloh.